Ian Trask is a scientist-turned-artist. After earning a degree in biological science from Bowdoin College in Maine in 2005, he worked for several years as a technician in various research labs in Boston and Salt Lake City. He left that life behind in 2007 when he moved to New York City to pursue a career in art. Between careers, he was a hospital groundskeeper, cleaning up trash daily. 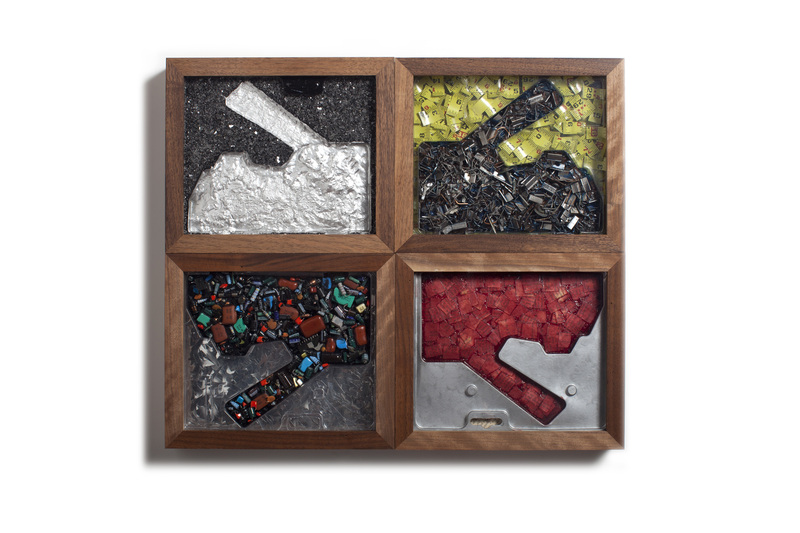 This direct experience with trash proved extremely influential in the development of his art. Being constantly confronted with other people’s waste, he discovered an infinite source of materials and inspiration. Now, almost four years later, his environment has changed, but his commitment to making art out of waste has not. Ian’s exhibitions and installations have included those at the Bonnaroo Music and Arts Festival, Bushwick Open Studios, the DUMBO Arts Festival, the Atlantic Avenue ArtWalk, Webster Hall, the Figment Interactive Art Festival, the Wassaic Project, the Affordable Art Fair, Bertrand Delacroix Gallery, and Coleman Burke Gallery in Portland, Maine.